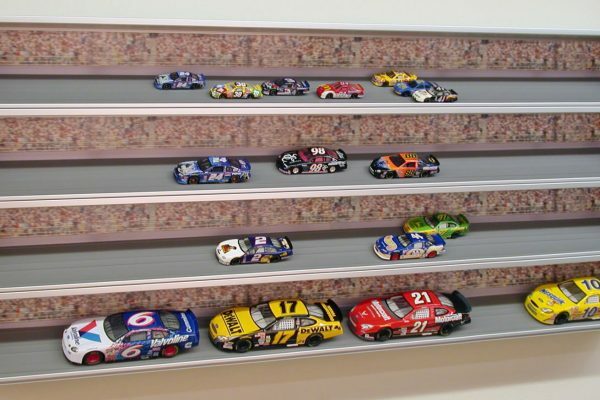 Display your NASCAR die cast collection is the best light! 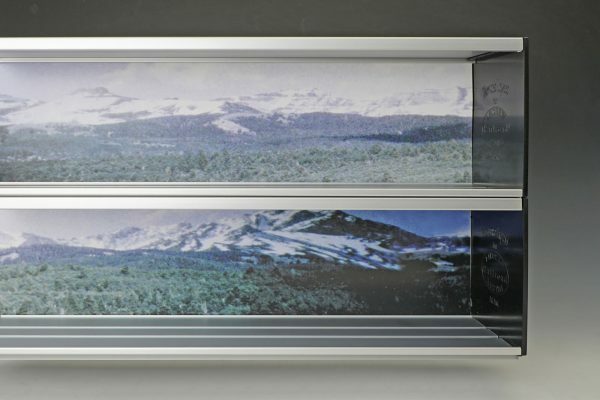 Add the 'Monza Track' (yes, named after the famed race track) and raceway background to give the viewer access to the cars graphic on the top and side of the cars. Racing at night? Add our custom lighting kit and crush the competition! 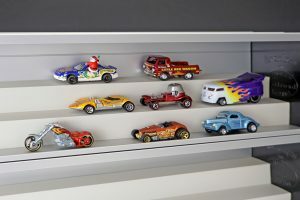 Our NASCAR Display Case (Series 3000, inside dimensions 3.95” deep x 4.45” opening in front) will show off your NASCAR Die-cast cars of any scale and all your racing Collectibles. . 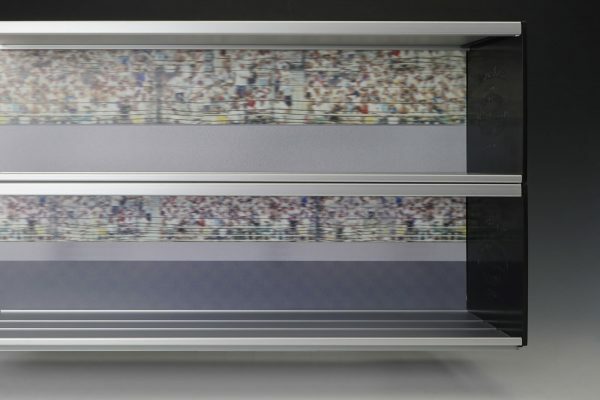 The Showcase Express Wall Mounted Display Case System is a clever and attractive method of displaying your prize NASCAR Die-cast collectibles of various types and scales. You can display 1:64th, 1:43rd, 1:24th & 1:25th scale. Add our "Monza' raceway and race your 1/64 die-cast 3 abreast. Race your 1/43rd scale diecast side by side. Your 1/24th will never look better with our raceway background and our custom lighting kits. 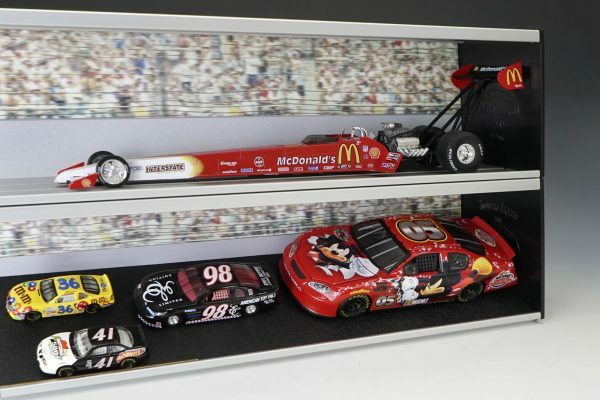 Our high tech and clean design is an expandable display case system that can grow with your NASCAR Die-cast collection! 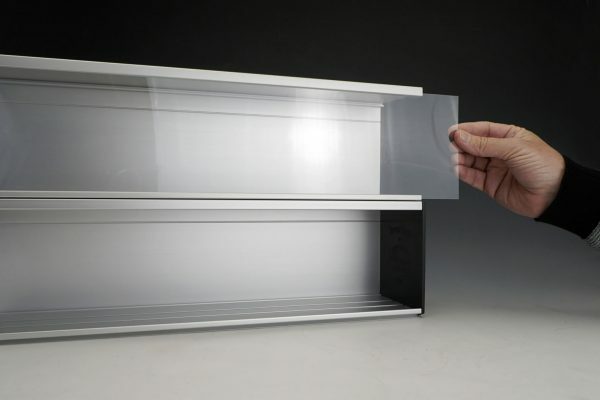 Clear vinyl windows provide for a dust-free display and are easily inserted from the end of each shelf or snapped in from the front. 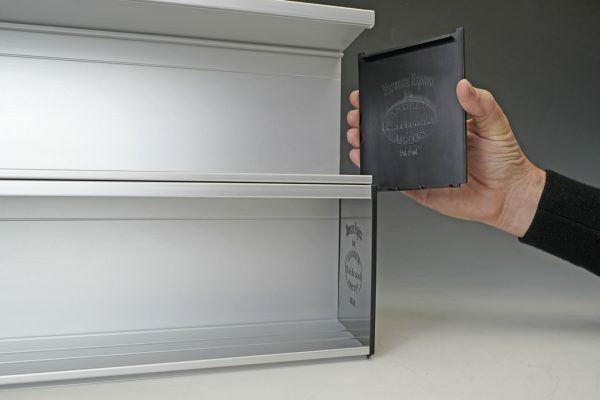 Individual shelf sections measure: OD 5.16" H x 4.25" D x 4 feet long. 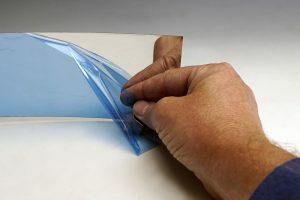 Add on or cut to any length. 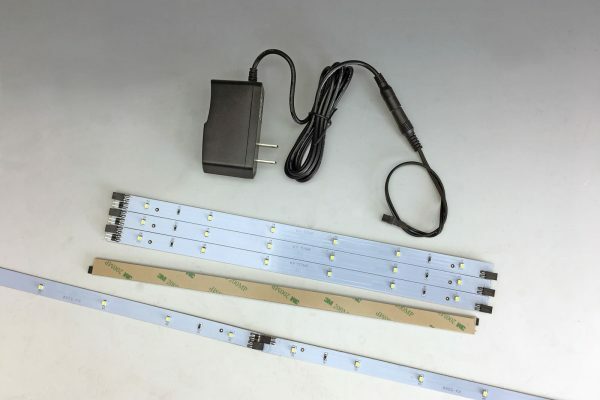 Use our connectors to lengthen the stock 48" shelving units to any custom length. 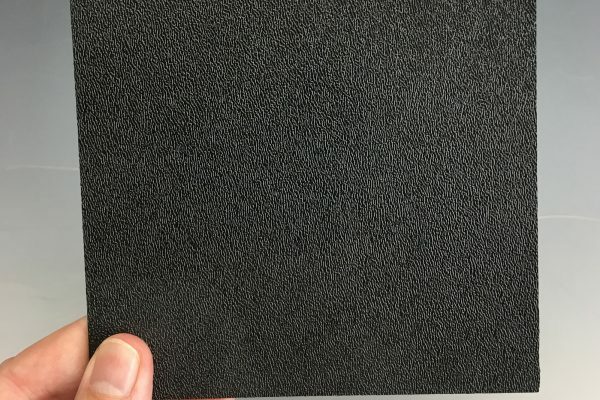 Custom cut if needed.